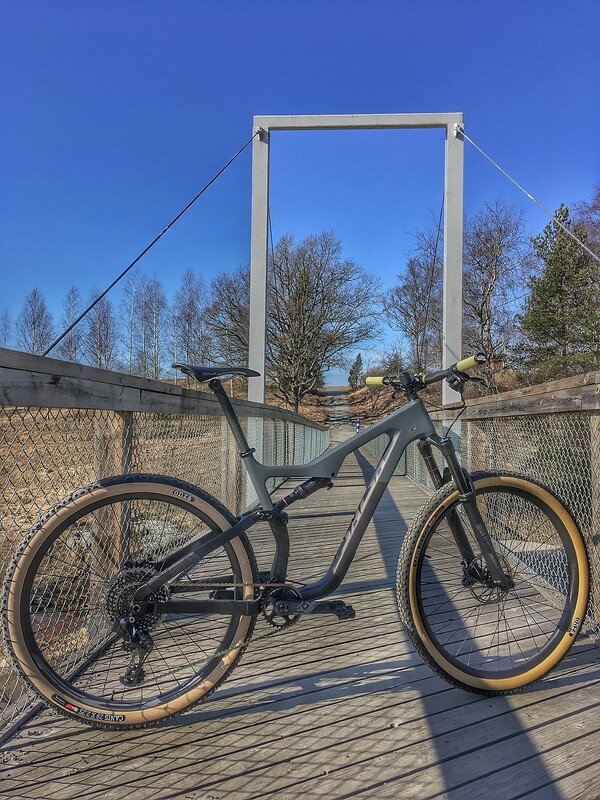 Coming from a L Pony Rustler (ran as 29er) the bike felt extremely familiar as far as fit went. I think the geometry is an improvement in all aspects and I love running a 140mm fork. - (this is barely) front end lifted on some techy climbs but I'm sure I'll adjust. Last edited by grizzler; 3 Weeks Ago at 06:36 AM. Also curious on this. 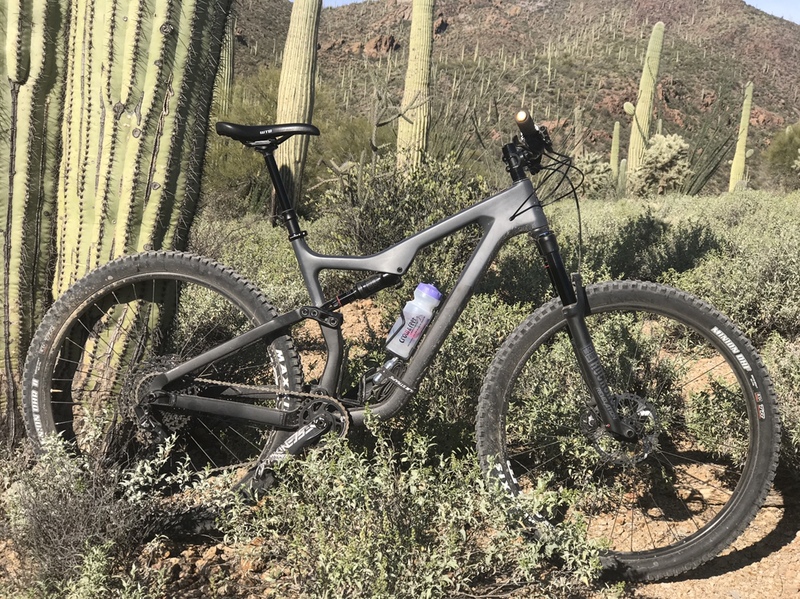 How is the spit pivot implementation on this new one for pedaling/climbing efficiency? Little to no pedaling bob? Honestly it doesn't feel heavy even though it's probably 3-4lbs heavier as is from my previous bike. It only feels heavy when I pick it up but not while riding. I suspect it's the NX cassette I notice. I didn't ride it before switching the bars/brakes but I am putting the charger 2 damper in tomorrow which I'll share my experience about. Honest feedback compared to my friend's pivot trail is that his felt smoother on small bump stuff but he bottoms out a lot more so it may have just been a pressure thing. The lifetime warranty of Pivot's carbon is what would catch my attention above all-- this has 5 years on the frame and 2 on the chainstay. But that being said they have been stellar with warranty issues. Climbing felt great and I did not notice significant feedback (not too different from the pony rustler climbing). I did not change the damper mode for climbs and cleared the usual technical spots I clear out at parts of the AZT. Descending is where I noticed better behavior from the suspension but again I was already happy so now I'm happier. The pony rustler would sometimes "stick" to loose rocks, something that may have been part of braking dynamics? I'm not nuanced enough to define it. I'm still dialing in the correct pressure/rebound and I think I can run a little less pressure than before. I'll give an update once I've had more rides, hoping to hear from others in here too! Rode again this morning. Definitely don’t miss my Pony Rustler. Felt great climbing, felt even better descending. Putting in the Charger 2 damper today. 32lbs with a tube and 2 16g CO2 cartridges. I think the Next SL cranks I have will shave quite a bit. Eventually the wheels will too. Looking good. This is the bike in the new lineup i like most. 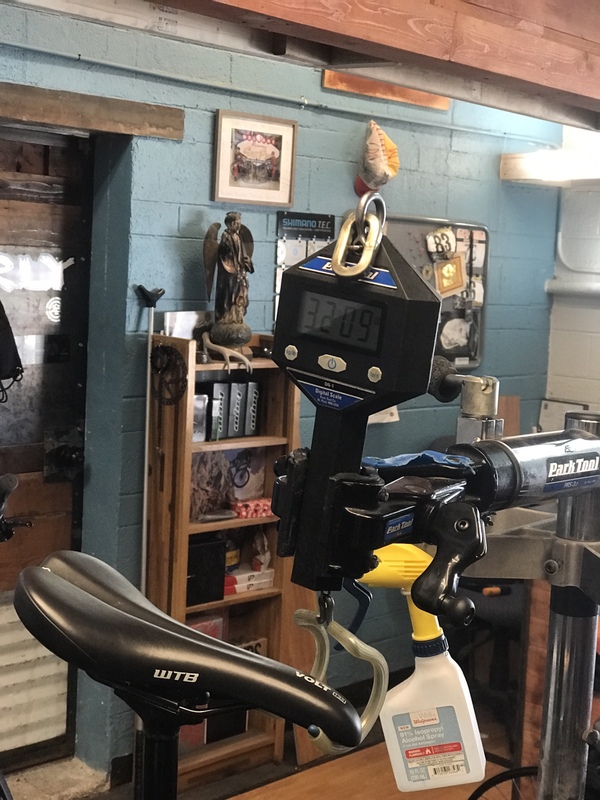 Is that weight with pedals? Seriously close to pulling the trigger on an nx carbon. Found one for an amazing deal already. Would you say its as plush as the split pivot of the old rustler? I would say it's as plush with the potential to be plusher, I haven't experimented with pressure/rubber bands yet. I had moved on to a hightower but this deal has me looking at the HT again. yeah my budget its right at the 4200 mark. The pivots dw has always interested me but Im always in between bikes when the deals show up. The sale ended today, shop was closed, so I bought it online through their online checkout site unseen. 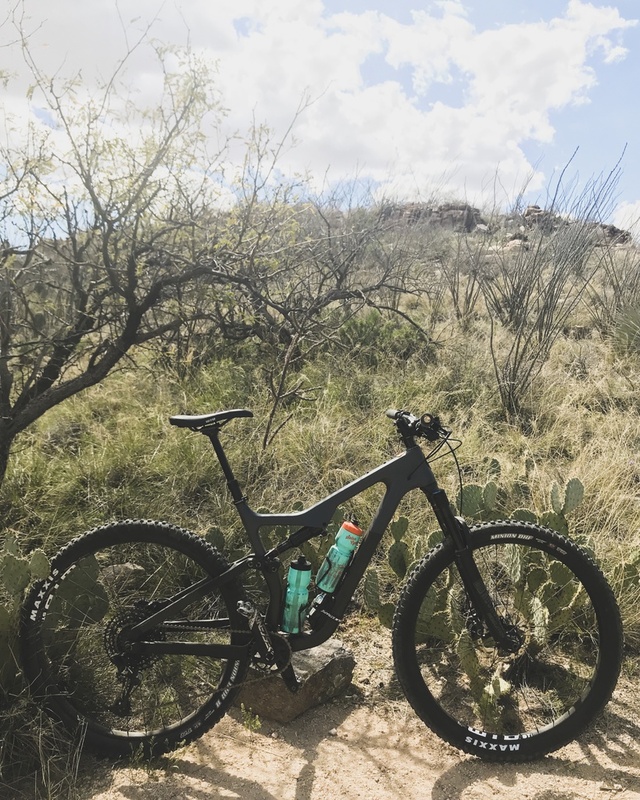 2019 Horsethief NX Carbon size L is now mine. Fo shiz. Probably this weekend. Stoked. Did the charger 2 swap a few days ago. 100% worth it, I noticed the fork spiking on extended chunky descents. New damper definitely performs better. Also installed the MRP ramp Control so I can adjust air volume without fussing with tokens, pretty sweet! Sure enough. Went to the website this morning and the prices were back to MSRP. Phew close one. 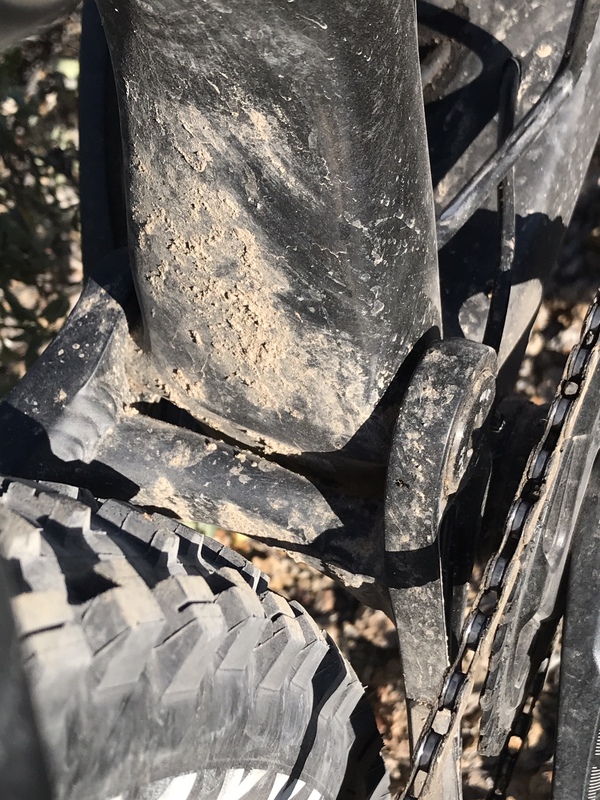 I got the grey/raw carbon/red lettering frame as a warranty replacement for my khaki pony rustler, which was a warranty replacement for my 2016 Horsethief Xo1. Its a sharp looking bike, but our trails are still covered in snow and ice (and perhaps mud in some places) so it will be some time before I get to ride it. 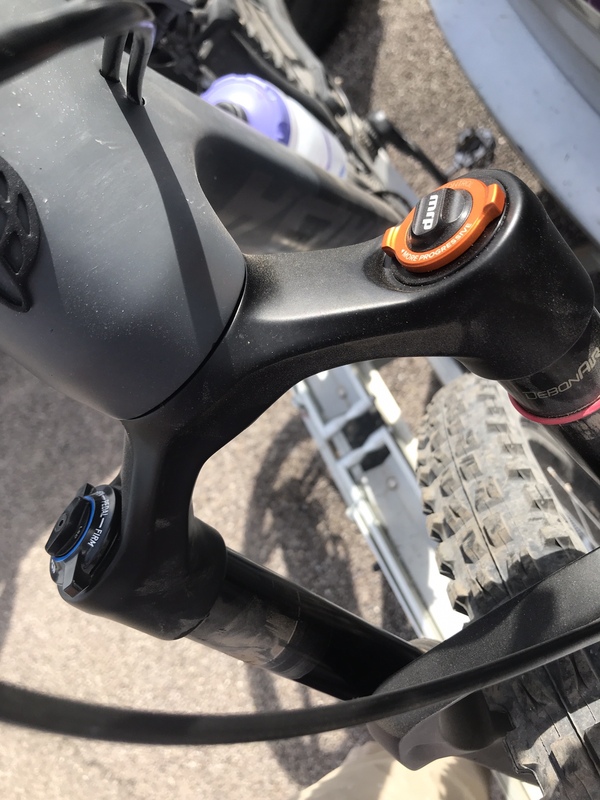 My only real complaint is that they changed the seat post from 31.6 to 30.9 so I had to buy a whole new dropper post when by Reverb was perfectly fine (If anyone wants it, message me and we can work out a deal-its got the 1x lever or the regular 2x button). I was able to use my boost wheels on the superboost frame with an adapter. The wheel is now offset in the frame a bit, but I doubt that will affect the ride. The offset is definitely noticeable when you look at it. 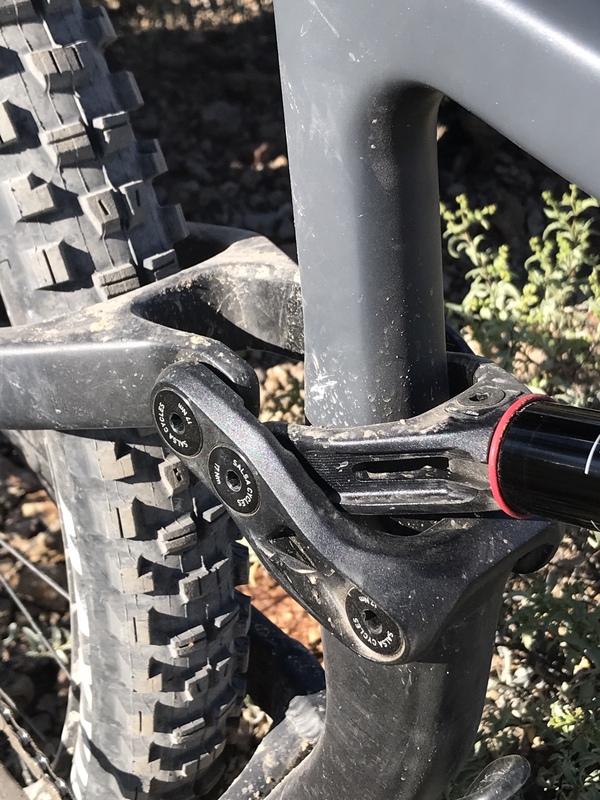 Another thing, while they say its compatible with forks from 120-140mm, and 42-51 mm offset, they are putting 140mm forks with 42mm offset (as is the current trend) on the carbon models. My fork is a 2016 pike with 130mm travel and 51 mm offset. Im wondering if/how this will compare with my prior horsethief/PR, but wont be able to find out for a couple weeks. They sell the aluminum models with 51mm offset so I don't think the offset is a deal breaker. It may be worth putting a longer air shaft on the fork, they're like $30 on Jenson. I considered this, but I was never able to confirm that 130mm pike can be converted to 140mm. That is, are the inner stanchions long enough? If so, I will likely do that. Loving the 2 water bottle cages in the frame. With my wolf tooth BRAD I suspect I can get 4 total bottles in the frame for long rides in the summer. Yup the max for a Pike is 140mm. Hell yeah dude it's funny how exciting space for bottles is, 4 bottles is going to be awesome! Just curious, for those who bought the HT, what drove you to make that choice over the Spearfish? Just travel? Or something else? More travel= more fun for me. Bike is real deal quality. Just picked it up. The 150mm dropper is too long for me but otherwise, the bike is spot on. -I have a bucksaw carbon x01 I run with 29s and a 100mm SID, so not enough difference with spearfish. Based on my parking lot experience, the Horsethief pedals very similar to my 100mm bucksaw. -went with salsa because im familiar with and like the split pivot and just wanted a little more of it. -Cheaper than the hightower and ripley LS I was considering at least based on my that one time deal I got. 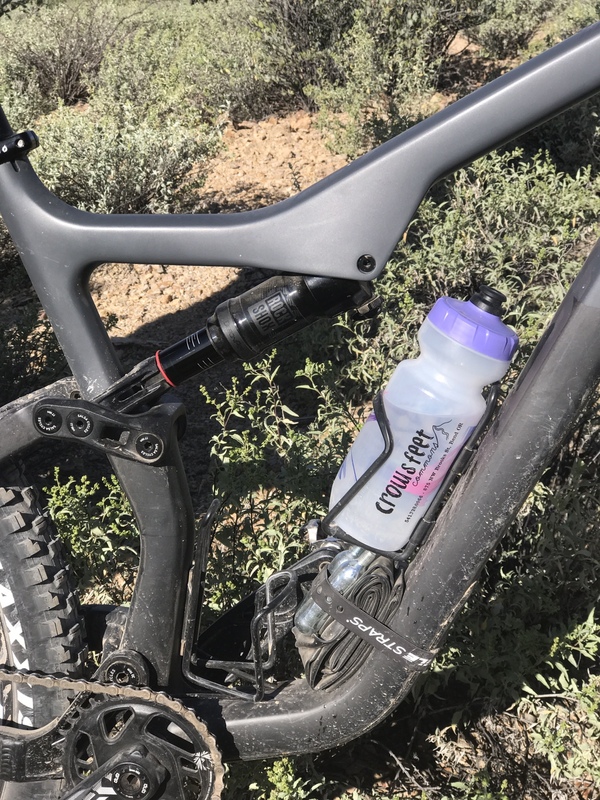 I chose the horsethief back when the Spearfish was 80mm/100mm and I already had a 100mm travel hardtail El Mar Ti and a 100mm travel hardtail fatbike/29+ and I wanted a slacker bike with more travel and a dropper post. My new horsethief was a warranty replacement, so it chose me. Kudos to Salsa for standing by its product. 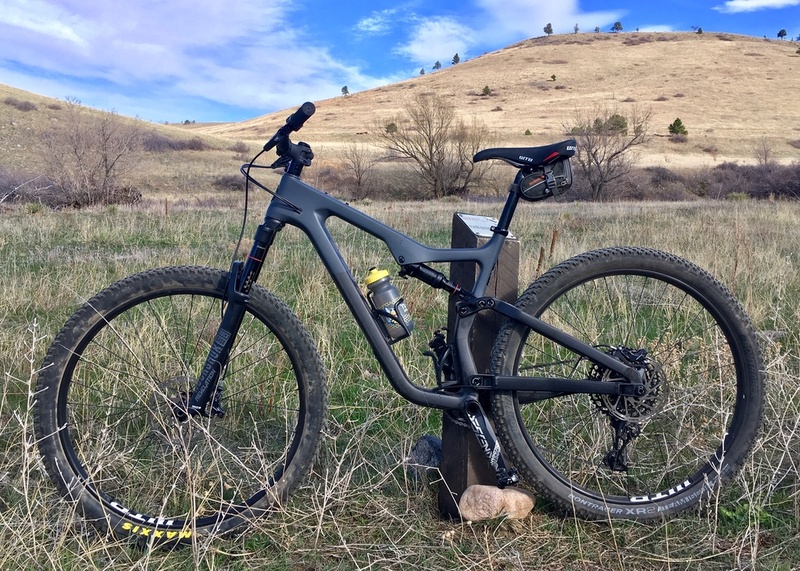 But now that the new spearfish is 100/120, has a dropper post, more modern geo, and room for 29 x 2.6, its possible I would go for a spearfish as I dont necessarily need 120/140 travel on my trails. that said, my old HT pedalled so well that I dont think the extra travel is a burden. 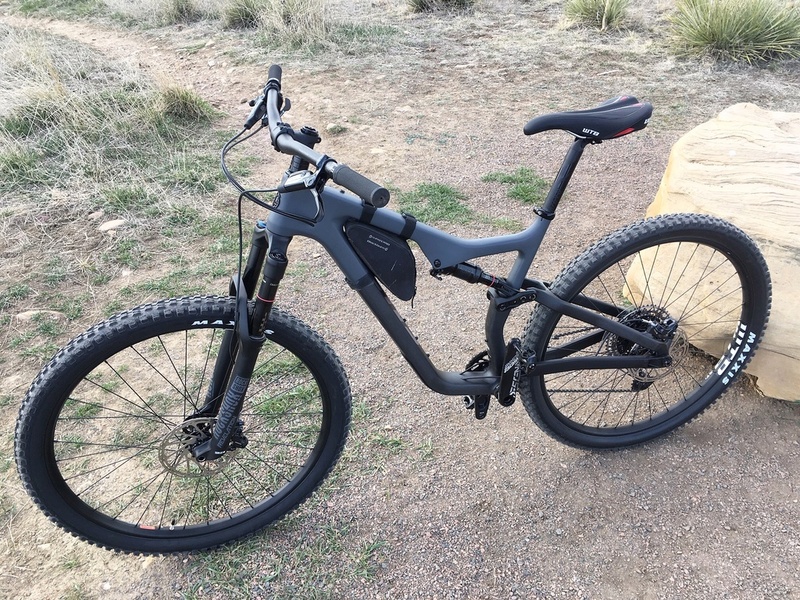 pivot makes e-bikes. get the salsa. So where to start... Im recovering from snowpression, so my review is partly influenced by being excited for dirt and warmth. My review is a little late because on Saturday, we got a bonus 4".... probably not the last, but at this point its quick to disappear. Smooth Rear: For starters, lets talk about the split pivot. I put about 215psi in the deluxe rt3 and set rebound pretty much dead center (5 clicks from the turtle). Was at about 32-35% sag, so could use a little more air to get the desired 30% recommended on the top tube. How did it pedal? Fantastically. It pedaled in that exact plush but responsive split pivot way you know and love, but faster, or should I say responsive. I love split pivot and this bike is no exception. Downhill? 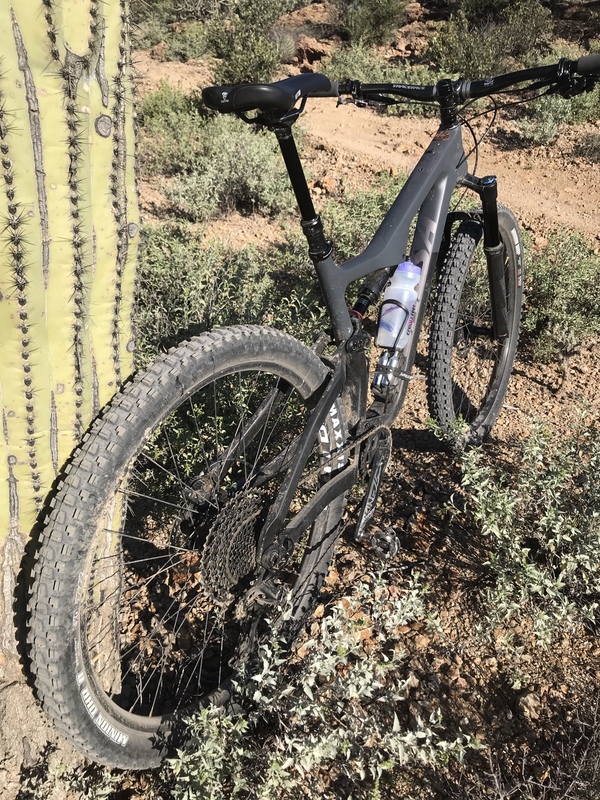 :Most of my 12mi ride was smooth single track /double track, but I did find some short rowdy downhills and the bike performed great given I dont have a dropper (more on that later), real stable, but smooth. The revelation took the bigger hits great, but small bump will have to be fiddled with. Basically set sag and went, so no tokens yet or rebound adjustment, which should sort out the small bump to an extent. Drivetrain: Nothing to see here. NX eagle... good enough. Guides were great. Cockpit/Fit: Perfect... for me. I got short legs and of those, Im all femur, so the 150mm dropper had to go and the rigid I have is a 20mm offset, so I will be looking for a 100mm dropper with offset. This fit was also great because of the slackish seat tube, which is needed for me. On a short 15% rocky grade, this was a small issue, but the price I pay for the right fit. Stack is tall, which works well for my long torso. No riser bar needed. This accentuates the slacks seat angle I think, which again works for me. Other stuff: Bike was dead on at 32lbs with pedals, tubes, and minions and without a dropper. I will probably be swapping in for an xr2/xr3 combo tubeless as I dont really need minions. So should get below 30 without pedals in this config but may go back up with new dropper. Some cons: boosted off a trail to pavement transition and maybe caught a foot of air. Hit some other rocky stuff. At the end of the ride, by sag ring was near'ish the end. This concerns me that bigger hits would lead to a bottom out. Again Im probably short 10 psi, but 35% sag shouldnt lead to easy bottom outs IMO. Ill be keeping an eye on that. Raw carbon freaks me out cause I always think there is an imperfaction or crack when its just the layup. Changes: As mentioned, tubeless and lighter tires. 800mm bar is too much for me, probably cut to 750-760 or maybe get a new carbon 750 rustler. ESI chunkys to come, but having issue picking color. token or two in front fork. Maybe dropper, but I've honestly never needed one all that much partly because of my stack to seat differential, I can always get on top of the real wheel with ease. TT is perfect with the 50mm stem. I used extended Issi pedals because my body is used to a 203mm q factor. Also go 30t instead of 32t for the long climbs in colorado. At the end of the day, the bike is exactly what I wanted and the price was right. So happy. 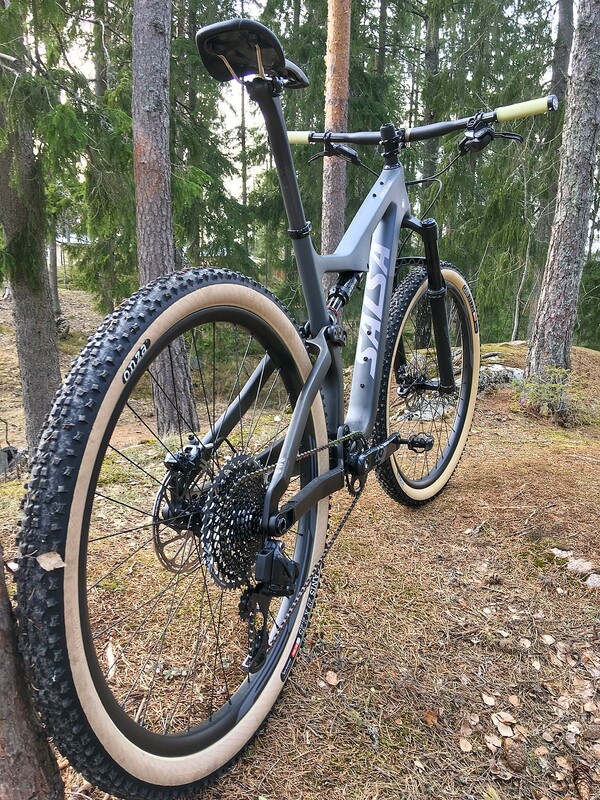 Salsa also confirmed that 120mm fork both 42 and 51mm offset is welcome. This would offset some stack (may need my riser then) and make for the perfect 120/120 race'ish rig. The lightish tires/SID and no dropper probably puts it in the 27-28 range. Maybe swap out the NX cassette and carbon bars. What kind of race'ish rig we talking about here? 50-100mi endurance rig. I raced last year on 100/100,m, but wanted just a little more comfort since im not really competitive. Has anyone seen the Horsethief Deore? Have one on order and can't tell if it is white or tan on the Salsa website. Haven't seen it in person, but seems to be a tan color according to their site. I would call that cream or off-white. Its definitely whiter than the prior Khaki colors used on the horsethief and ponyrustler models. Finally got a proper rocky mountain bike ride on the HT. What a great bike. Set to 30% sag and thr bike was a little more poppy and responsive but slightly rougher than the 35%. No bottom out concerns after popping off a few features though. 42mm offset fork plus 800mm bar i think makes the front end twitchier than im used to. Felt easy to oversteer. Overall, the stoke is high... and the weather is warming up. Fat Bike, you start with a fat bike. Just kidding, thanks for the write up. - don’t miss the pony rustler, climbs as well (maybe better) and handles the rest better. Rode some flowier trails and it loves to be leaned and pushed. - got the suspension closer to dialed. 80psi upfront with 7 clicks of progression on the MRP cartridge. 230 in the back. I’m 195lbs all geared up. Don’t remember how much rebound. Running 20psi front tire and 25pi rear. - a bit of creaking going on. I removed the rear split pivot bolts and applied blue loctite. Same to the two shock mounting points. 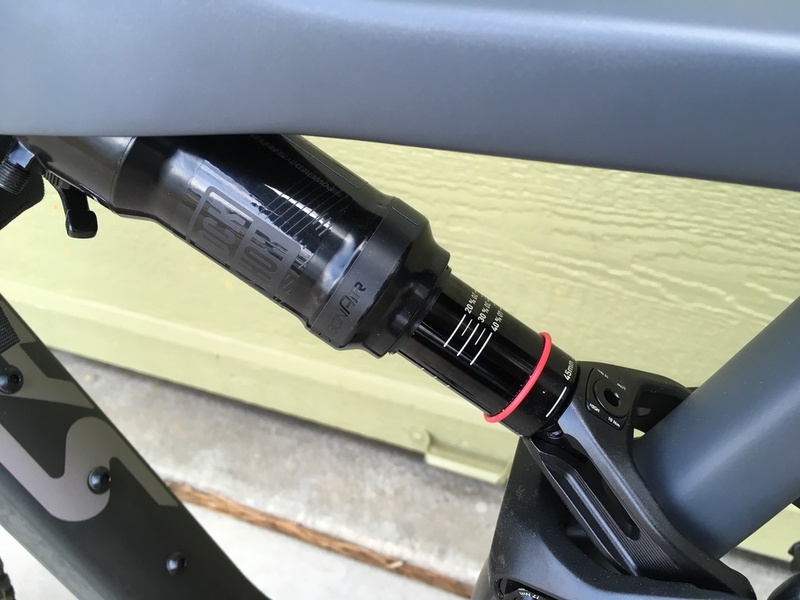 Took care of most of it, sounds like some might be coming from the seatpost and lower pivot by BB. Shop cleaned up the bb and reinstalled. It’s funny how creaks/pops can really get in your head. Great bike and I’m sure I’ll sort the creaks out, part of the FS fun I guess. I noticed some creaking yesterday as well. Pretty sure mine is coming from the stem. Ill report back once I get it sorted. 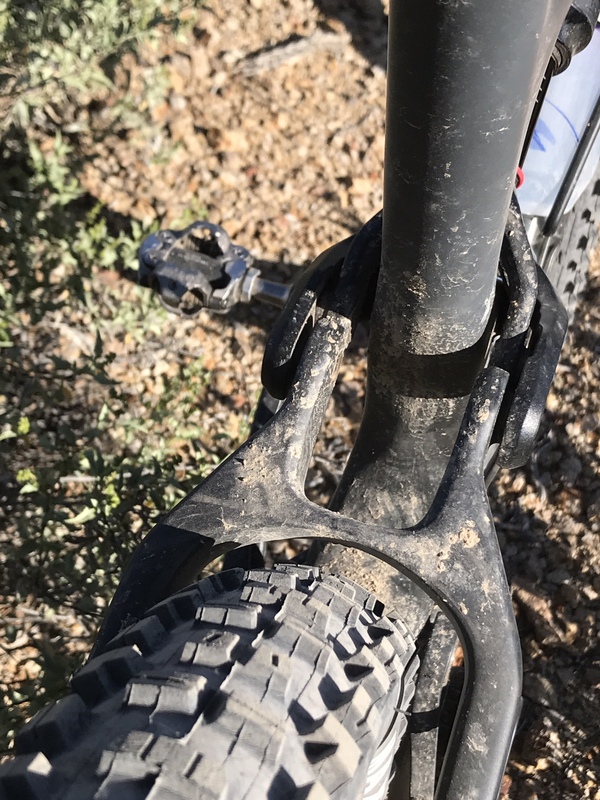 I found a great deal on a Santa Cruz Hightower 27.5+. Marked down to $3200. Has anyone ridden the Hightower and new Horsethief? Just wondering how they compare. 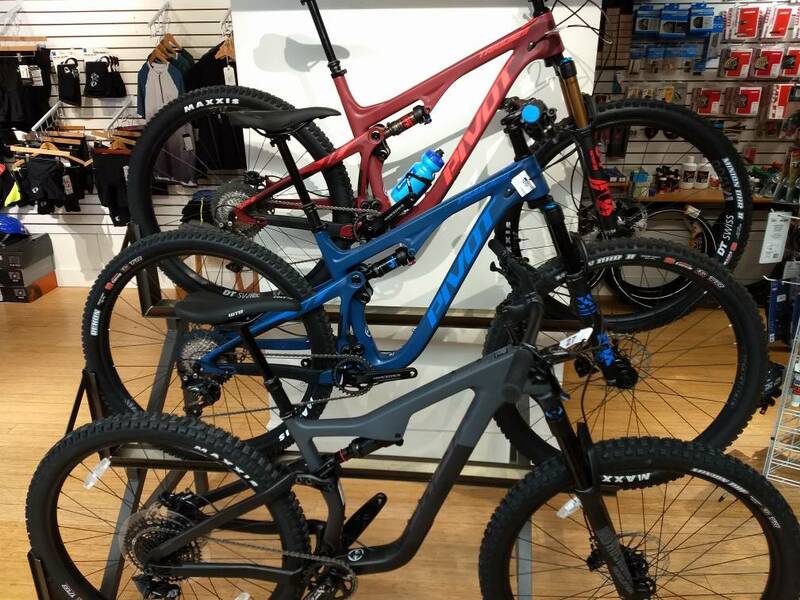 If I get a Horsethief I will be buying a new wheelset and running it in 27.5+. Thanks. Shamus that looks great! Did you swap everything but the fork? Just a follow up new BB installed because of creaking. Shop obviously took care of it. Did that take care of the creak? Parking lot tide says yes, but no proper test yet. And.... that's a no. Just took it for a 10mi ride. started creaking real bad almost immediately. I even took the whole seat post out, since thats the one thing I did change. Finally narrowed it down to either the flip chip or the seat stay / seat tube suspension link. Can recreate by pushing the head tube and pulling the seat tube and vice versa. which explains why the shop may have thought it was the BB. that alternating motion. Shop said the BB was hosed. Im not so sure now. Either way... Im getting kind of pissed. gonna pull the flip chip and make sure its not a contact point needing a little grease in its housing or something stupid like that. So next is to pull the shock out and grease the yoke interface?